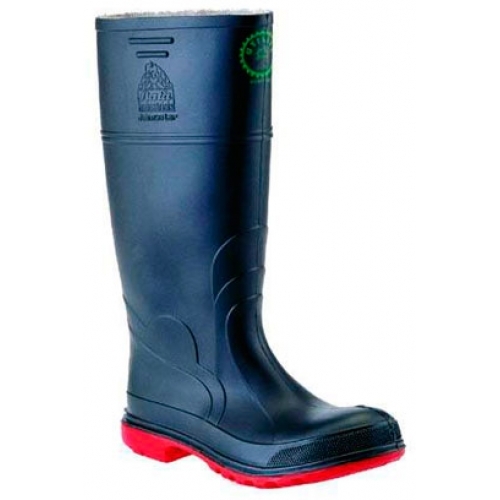 These black utility safety gumboots from Bata have a steel capped toe area (AS/NZS 2210.3 compliant) offering you extra protection. They are made in Australia from lightweight PVC offering flexibility and durability. The soles are both oil and acid resistant and are designed with channels to help disperse liquids as you walk giving you better slip resistance. They also have kick off lugs at the heel allowing you to easily remove the gumboot. Sizes are from 5UK to 12UK.